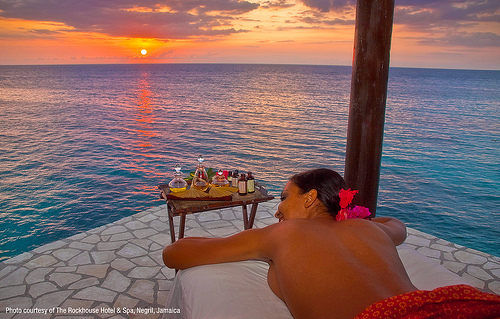 If you can't get to the Caribbean, bring the Caribbean to you! If you can’t get to the Caribbean, bring the Caribbean to you! 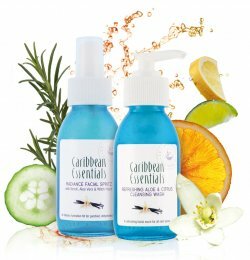 The Caribbean Essentials brand is a luxury spa range inspired by the natural raw ingredients found in the lush Caribbean regions such as aloe vera, apricot kernel oil, banana, cocoa butter, ginger, grapefruit, mango, papaya and watermelon oil. Their unique products include a dry face mask that you can combine with the other products in the range such as the facial spritz or with natural kitchen products such as yoghurt. Fab for people who like a more natural approach to skincare. The zesty, naturally foaming SLS-free cleansing wash is ideal for people on the go. It will gently cleanse the skin while respecting its natural PH balance. Combine this with regular misting with Caribbean Essentials Radiance Hydrating Facial Spritz to prepare and awaken, tighten and tone, refresh and hydrate. The Facial Spritz is a refreshing, hydrating tropical mist that can be used throughout the day to hydrate your skin and leave you feeling exotic and deliciously aromatic. You can check out all the GORGEOUS products here and the weekly packages that are on special offer here!